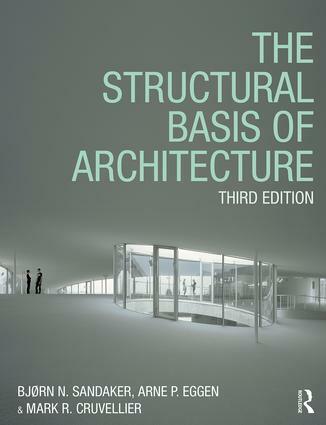 This is a book that shows how to "see" structures as being integral to architecture. It engages a subject that is both about understanding the mechanical aspects of structure as well as being able to relate this to the space, form, and conceptual design ideas that are inherent to the art of building. Analyzing the structural principles behind many of the best-known works of architecture from past and present alike, this book places the subject within a contemporary context. The subject matter is approached in a qualitative and discursive manner, illustrated by many photographs and structural behavior diagrams. Accessible mathematical equations and worked-out examples are also included so as to deepen a fundamental understanding of the topic. This new, color edition’s format has been thoroughly revised and its content updated and expanded throughout. It is perfect as either an introductory structures course text or as a designer’s sourcebook for inspiration, for here two essential questions are addressed in parallel fashion: “How do structures work?” and “What form do structures take in the context of architecture – and why so?” A rich, varied and engaging rationale for structural form in architecture thus emerges.